Sarah M. Schmeiser is an associate at Tracey Wood & Associates. Sarah focuses on criminal and traffic defense as well, as handling immigration cases. After graduating with honors from the University of Wisconsin School of Law in December of 2004, Sarah has defended clients charged with all types of criminal and traffic offenses in municipal, state and federal court. Sarah is a member of the State Bar of Wisconsin, the Dane County Bar Association, the National Association of Criminal Defense Lawyers, and the National College of DUI Defense. 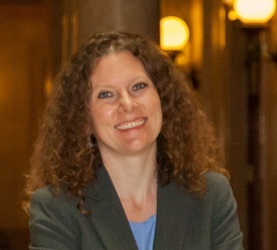 She is a board member of the Wisconsin Association of Criminal Defense Lawyers. Sarah has given presentations at the request of the Wisconsin OWI Roundtable to other attorneys who handle drunk driving defense. She is NHTSA certified in standardized field sobriety testing. Sarah has submitted an Amicus brief to the Wisconsin Supreme Court on behalf of the Wisconsin Association of Criminal Defense Lawyers. Sarah is a member of the American Chemical Society and the Chemistry in the Law Section of the ACS and she has earned the lawyer-scientist designation from that section.